Small 3.5x6x2 is great for smaller products like pre-rolls or 1/8 oz flower. Need Printed 1/8 oz Child Resistant Stand Up Pouch Black 3.5x6x2 ? Black Stand Up Pouch is a super cute pouch with lots of possibilities. 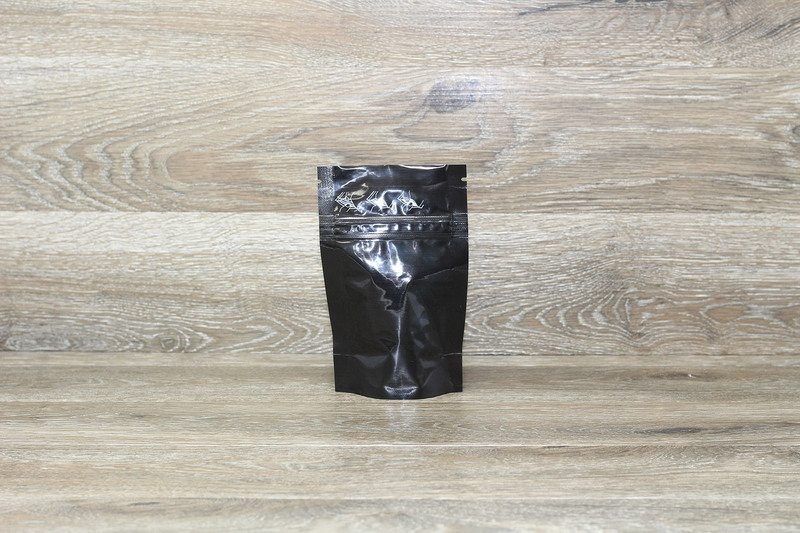 From sample sizes, to single use smell proof bags barrier packaging. 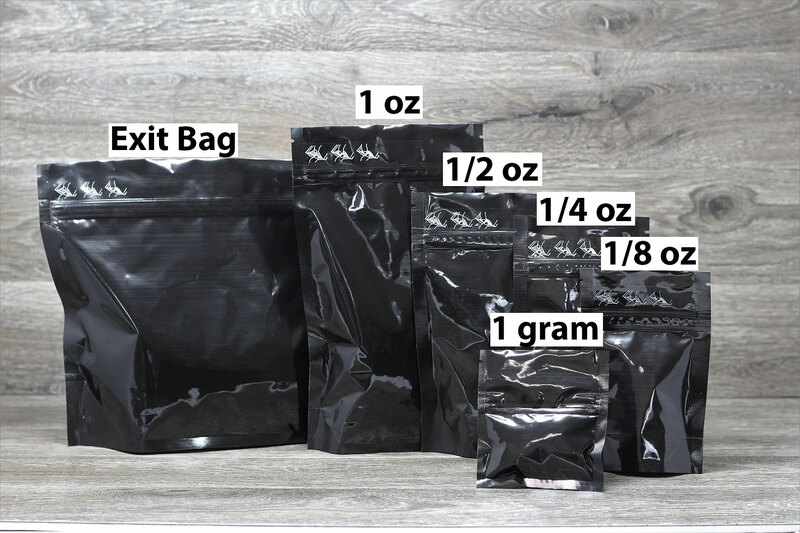 Get printed 3.5x6x2 mylar ziplock pouch so you don’t have to label and can save time and money. Printed child resistant bags are a proven way to increase sales and improve marketing. We offer both plate and digital printing on these mylar bags. With digital printing you may print with very low setup fees, and fast turnaround of just 4 weeks. 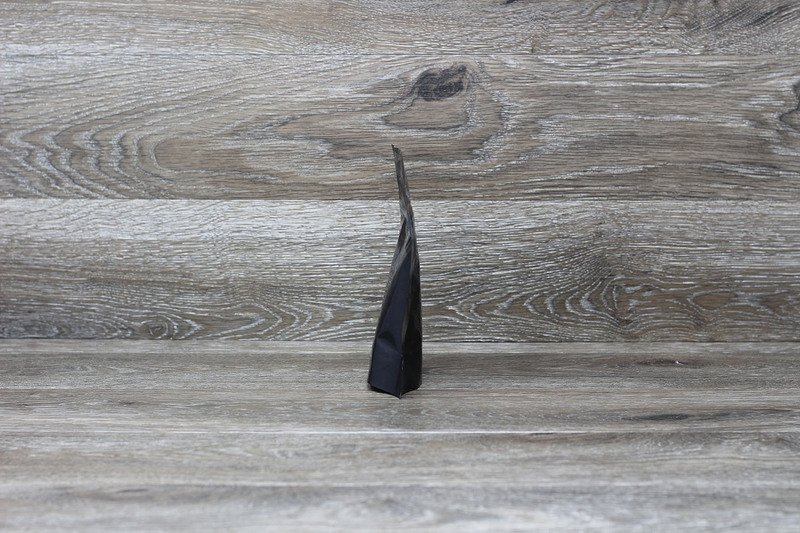 The cost of Child Resistant Black (3.5x6x2) Stand Up Pouch is dependent on a number of factors. So, to get an accurate quote give us a call at 949-336-1541 or contact us.